Me and my insomnia....we're frenemies. We go way back. I mean wwwaaayyyyy back. I have had trouble sleeping for literally as long as I can remember. And the sleep problems I had from before I can remember, my mother can attest to. Sadly, it is not an exaggeration to tell you that I have had trouble sleeping for my entire life. I've tried a lot of things over the years to help me out. In high school I gave chanting a try. I wasn't the one doing the chanting, it was some monks on a CD. I dreamed of spiders all night long. Never Again. I've tried the prescription route. We've all heard of Ambien. And the stories that accompany it of people sleep walking, cleaning, eating, driving, etc. It didn't do anything for me. It was like I hadn't taken anything. Prescriptions and me just don't play well together. And the rare pill that does help not only leaves me hung over the next day, but also stops working if I use it for even a short period of time. As in, twice. As an adult my insomnia has gotten significantly worse, mostly likely brought on by a few of the unpleasantries of adulthood.....like bills and stress and people. When Lolly was at her last school, my insomnia would increase about two weeks before school started and continue on until summer. The first year I thought it was a coincidence, the second year I knew it was not. And this was not my typical, wake up at 4 am every day without being able to go back to sleep kind of insomnia. It was waking up for the day at 1 am at least three times a week. Often more than that. This past summer, right on cue, my insomnia increased two weeks before school even though we were sending the girls to a different school. But after they started school and I could see what a better environment it was for them, it went away. And I returned to my regular, 4 am insomnia. 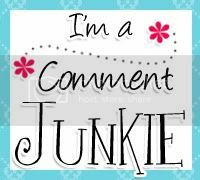 I'll be honest with you....even though my 4 am insomnia is an improvement over my 1 am insomnia, it's still an unwelcome guest in my life. We have a lot going on around here and I need some sleep! I mentioned my sleep issues, in passing, to an acquaintance and she recommended this book. And here's some more honesty for you. I haven't actually read the book yet. 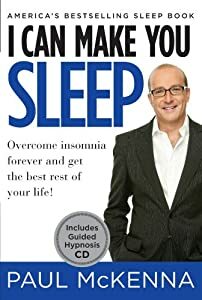 This book comes with a guided hypnosis CD that helps you to sleep. I've been using the CD for a couple of weeks now and I can really tell a difference. I haven't been able to completely drop my 4 am waking, but I figure that it took me 34 years to get here and it might take me more than two weeks to get my brain to sleep all the way until 6. And reading the book might help too. And here is my personal disclaimer: this technique uses your brain to help you sleep and if you use it with the intention of "proving" this sort of thing doesn't work, then it probably won't help you. For so many people, their insomnia defines them. It becomes a competition....whomever has the worst insomnia wins. But really, that person loses. Because they don't get to sleep! Duh. Kinda dumb. And in further pursuit of a good night's sleep, I went in search of a sleeping mask. The girls were with me when I finally found one and they both insisted on this one. When I asked why, Lolly informed me that the purple of the sleep mask matched the purple under my eyes. She said it with such love and fashion sense that I just couldn't be mad. Besides, a girl should match her accessories whenever possible. I am happy to find this post very useful for me, as it contains lot of information. I always prefer to read the quality content and this thing I found in you post. Thanks for sharing!